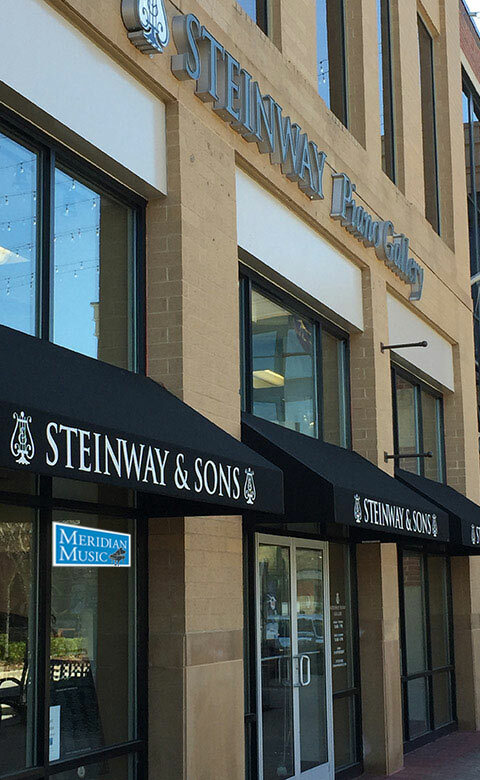 We are committed to the development of solid, longstanding relationships with our customers – from beginning students to professional musicians – and helping to bring the joy of music into their lives. Meridian Music serves clients across Indiana from Indianapolis to Columbus, Bloomington, Lafayette, Muncie and beyond. From the initial consultation, through the delivery process and to the follow-up – Meridian Music professionals assist individuals and organizations in determining their needs while maintaining the highest standards of integrity every step of the way. We are proud of our solid reputation for quality products, education, community involvement, and unsurpassed service. Meridian Music also offers one of the largest music education centers in Central Indiana with individual or group lessons for children and adults learning to play piano, guitar, brass, strings and woodwinds as well as voice coaching. Students learn to play instruments of the finest quality.